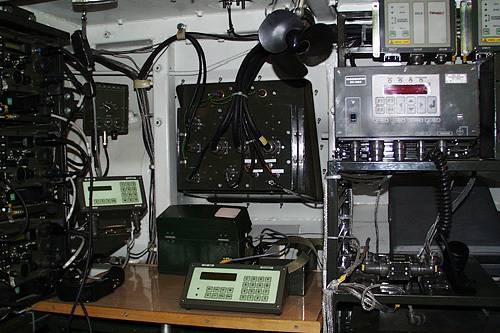 Automated Command System based on HMV IRYS2000 (ACS HMV) family is functional, automated command and communication system, carries out information aquisition, formal and unformal communication for data exchange between elements of tactical unit. ACS HMV is produced in four versions: on armoured trucked vehicle MTLB, MTLB-U, MCV and wheeled HMV (Honker). Automated Workplace software (AW) is dedicated software to ACS HMV. AW fulfiling NATO standards: CADRG, VPF, DTED, Stanag 5500, APP-9, APP-6, APP-6A, Stanag 2014, ACP 128. 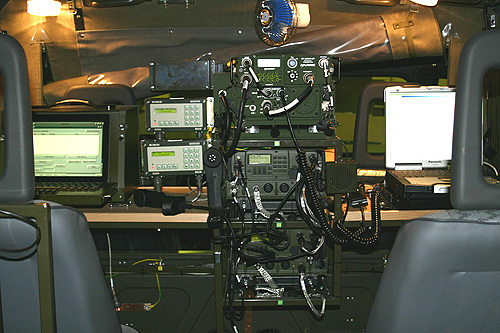 AW possesses interfaces for connections to other dedicated systems and subsystems of available communicational infrastructure.Apart from command procccesses support, AW ACS HMV supports current army units command and control in mobile conditions. Information exchange applies to both documentation exchange and current battlefiled situation monitoring, alerting and notification, using graphic interface. Communicational Server (CS) – controls and manages all of the ACS communication media in automatic way. CS includes software router which performs automatic packets routing between all media. CS is automated workplace for ACS HMV communication staff and also enables communication with ICS. Radio Connection Block UHF – performs services of the Single Channel Radio Access Subsystem (SCRAS). RCB UHF delivers phone services to TCS subscribers in mobile environment. RCB (ACS HMV in the move or stoped) carries out data exchange between elements of communication system. Cable regenerator 128×2 – carries out two long distance connections to TCS STORCZYK and connect by group interface to KD/2 in ISDN mode. Fiber Optic set KO-2 – group interface. 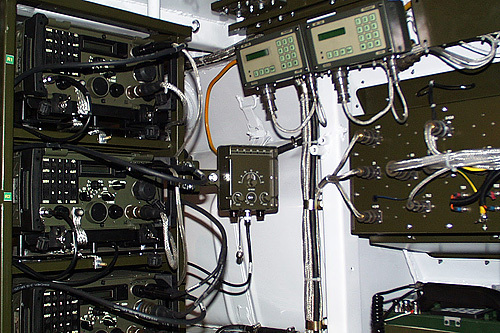 MK16 – performs basic connection mode CS to TCS and secondary packet network based on WP-40 and to communicate with ICS subscribers.